Women SPEAK is a national initiative cultivating dialogue and mentoring relationships centered on gender, identity, & social justice. Youth-led and youth-centered, we lead a number of programs to help young women educate themselves, empower others, and take action against gender and social inequality. Through our local mentorship programs around the country, Women SPEAK is committed to establishing critical and social justice-oriented dialogue tho among young women to help them address challenges today. Women SPEAK also provides girls with the means to take action on dialogue through their pipeline program "It's Time to SPEAK", annual scholarship program, and innovation hub. The Annual High School Girls' Leadership Summit is held in the greater Los Angeles area each year. Summit participants are exposed to keynote speakers, interactive workshops, and panels to open dialogue about what it means to be a young woman today. The 3rd Annual Girls' Leadership Summit gathered over 100+ attendees hailing from 25 universities and schools around the Los Angeles area. Women SPEAK has a national chapter network comprised of colleges, universities, and high schools around the nation engaging in dialogue about women's issues today. in addition, Women SPEAK awards scholarships and public service grants each year to deserving young women in high school and college who embody the mission of Women SPEAK. Bring Women SPEAK to your campus. Be the change on your campus. Women SPEAK has a national network of colleges, high schools, and universities that have ignited dialogue about gender equality on their campus. Each campus receives a chapter toolkit, personal mentorship from the Founding Team, and leadership development opportunities. 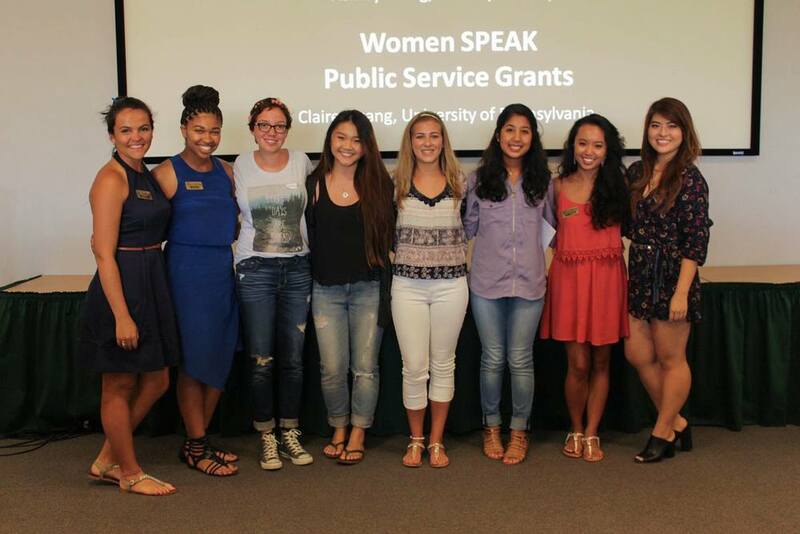 Want to learn more how about you can bring Women SPEAK to your campus? Click here. Women speak, inc. © All rights reserved.